For some strange reason, Nintendo hasn't added Garfield to any Super Smash Bros. game to date, and it doesn't look like that will change with Super Smash Bros. Ultimate. And this is a shame, I mean, have they played the Garfield games? Every single one of them is an all-time classic. And what is cooler than Garfield fighting Mario, Captain Falcon, and Ice Climbers in a fight to the death? Nothing. That said, while Nintendo blindly ignores the rightful heir to the Super Smash Bros. throne (that isn't Waluigi), a Chicago-based artist by the name of Shawn Bowers isn't. 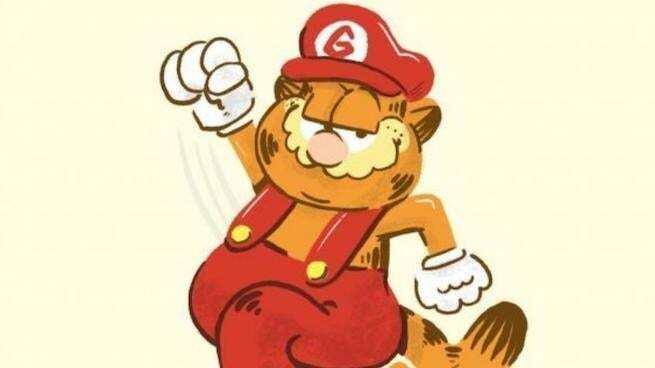 In a new project that he's been sharing via Instagram, Bowers hasn't imagined what Garfield would look like in the game, but he has done the next best thing: reimagined what Smash characters would look like as Garfield. Super Smash Bros. Ultimate is poised to release later this year on December 7 via the Nintendo Switch. For more news and coverage on the game, click here. And of course, for future Garfield as Smash character art, be sure to give Bowers a follow here. Here's to hoping he does Bowser and King Dedede soon.